If I hadn’t been back a second time, I might have thought my visit to the Getty Center perched in the Santa Monica Mountains above LA was all a dream. Step out of the tram on a sunny day and you are almost blinded by the light reflecting off the signature Italian travertine stonework against the stark blue of the sky. The lofty location offers views of the structured city below, glittering highways dissolving into the ocean beyond with mountains encircling the whole scene. Everything about the Getty is grand in scale and ambition, from the elaborate gardens to the imposing yet appealing architecture of the museum buildings. The gardens even have a history of some surprising controversy in their creation which only highlights the role of a museum as a place to celebrate innovation and experimentation. The Getty Center opened in 1997 as an extension of the Getty Museum in Pacific Palisades to better display the extensive art & antique collection of oil tycoon J Paul Getty. The massive complex was designed by architect Richard Meier to integrate the museum into the ridges of the mountains upon which it was built. There is an interesting interplay of sharp lines and imposing structures contrasted with dramatically rounded edges and wide open walkways. I have to admit I barely set foot indoors on either of my visits because I much prefer to enjoy the museum from the outside. 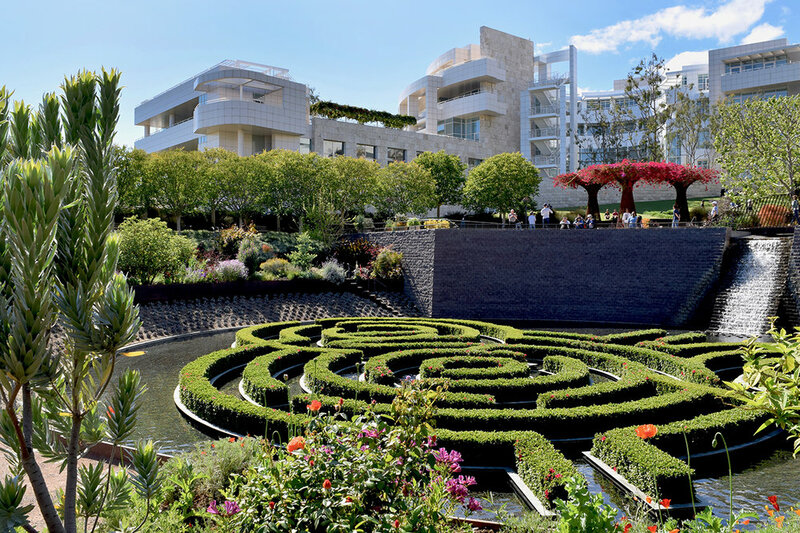 The Central Garden on the sloping area below the main buildings created by a natural ravine was designed by visual artist Robert Irwin who envisioned the project as a massive, ever-changing sculpture. 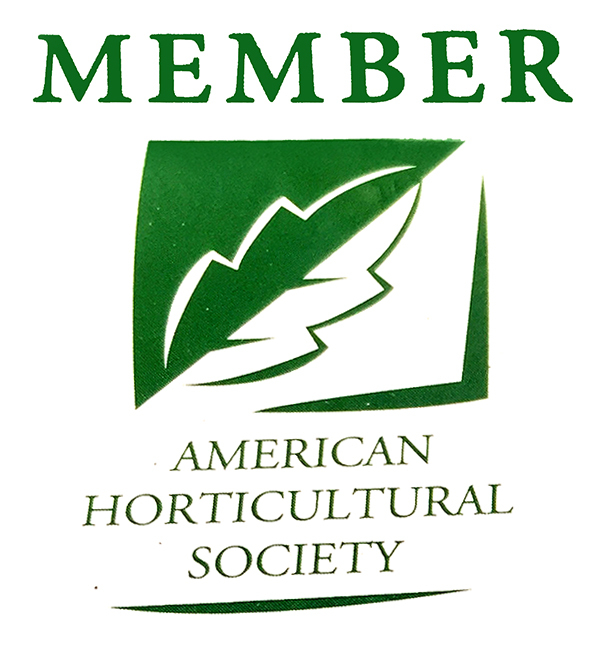 His lack of experience and unorthodox approach caused a bit of a stir in the landscape design community with many harsh criticisms mostly concerning his choice of plants. There are also rumors of much dissonance between Irwin and main architect Richard Meier who expected the gardens to be part of his domain. The resulting garden is a powerful visual statement that holds its own against that massive buildings that loom above it. 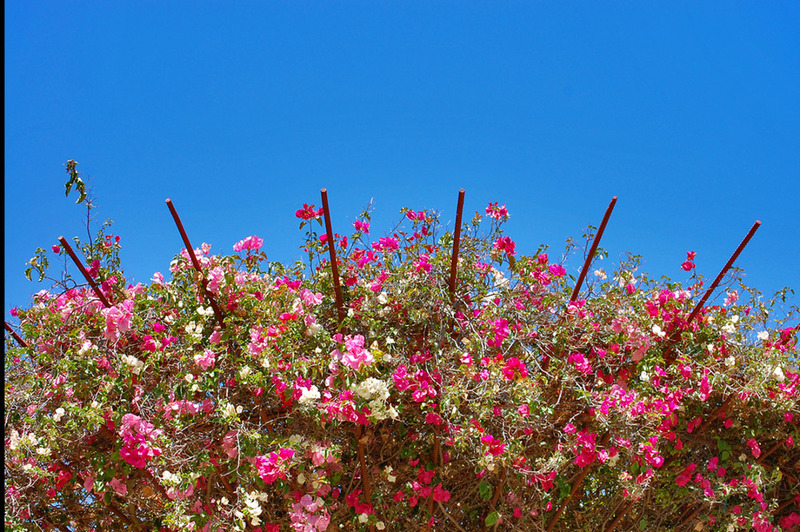 Chunks of rock jut out of the stream that flows beneath the criss-crossed pathway running alongside a grassy lawn and giant rebar arbors hung with bougainvillea tower above the floating azalea maze that serves as a centerpiece to the whole garden. There is a very welcoming relaxed atmosphere in this area with museum patrons relaxing on the lawn and strolling leisurely through the colorful plantings that surround the fountain. Part of the enjoyment of the Getty is just wandering around the complex, through courtyards and down staircases, and around winding walkways to see another spectacular view or hidden area. I always take time to wander around the extremely well manicured sculpture garden before getting on the tram to head up to the museum. It is a tranquil spot with some impressive sculptures placed between rows of trees and gorgeous ornamental grasses that is often overlooked. Another spot worth seeking out is the Cactus Garden on the southern promontory, a quirky garden of succulents that stretches out below with some of the best views of the city in the the distance.